New Delhi April 13 (IANS) Union Home Minister Rajnath Singh on Friday said the government is willing to more than double the share of healthcare sector to 2.5 per cent of the country s GDP. "Currently the government spends 1.16 per cent of the country s GDP on the healthcare sector. 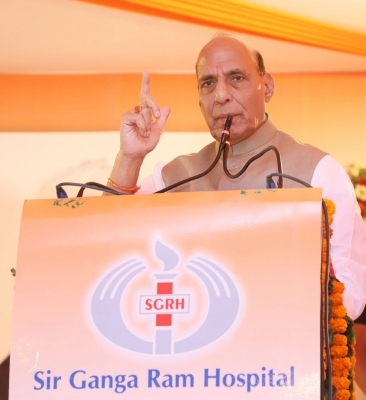 However the Prime Minister has said the budget for healthcare can increase up to 2.5 per cent of the GDP " Rajnath Singh said at the 64th Founder s Day celebrations of Sir Ganga Ram Hospital here. He said providing healthcare facility for the population of 125 crore "is not easy". Challenges relate to both medical infrastructure and services including severe shortages of doctors nurses and hospitals he said giving out comparative statistics of healthcare in India and the world. 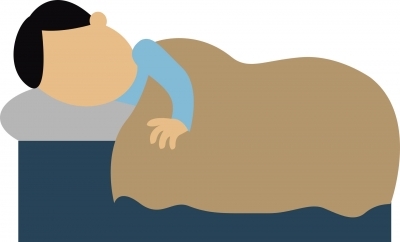 In India for every 1 000 persons there are 0.6 doctors 0.8 nurses and 1.5 beds whereas the world average is 1.2 doctors 0.8 nurses and four beds said the minister. Citing Ayushman Bharat that promises to provide health coverage to 10 crore vulnerable families with an insurance of Rs 5 lakh per family per year Rajnath Singh said: "This would require infrastructure. The government is working towards it so as to ensure affordable and universal healthcare." "Heavy investment would be required. The government will increase its investment in both preventive and promotive healthcare. But it is not possible for the government to do this alone. We are encouraging the private sector. We see them as strategic partners " he said. Stressing that a "Healthy India" is a must to build a strong and prosperous India he said that the Narendra Modi government is trying to provide free diagnosis and free emergency care at all government hospitals even as it is planning big on medical tourism for people coming to India for treatment. The Minister said several steps have been taken towards boosting medical tourism such as extending e-Visa to 161 countries and extending the duration of stay on e-Visa from 30 to 60 days allowing for triple entry in e-Medical Visa cases. On Sir Ganga Ram and his hospital that was first established in Lahore in 1921 and later in Delhi in 1954 Rajnath Singh said: "He had a big heart. Sir Ganga Ram Hospital is the only institution that exists by the same name in our country and neighbouring Pakistan."